Coffee snobs love to turn their noses at the fast-food cafe culture that’s become common in our society. This isn’t entirely fair. While it can be easy to mock brands like Starbucks for offering mediocre beverages drowned in flavors at too-high of a price, their popularity has allowed people to experiment with their own (better) coffee creations. Espresso makers are a case-study in this fact. While “cheap espresso maker” used to be an oxymoron, consumer demand for a latte-at-home means it’s not difficult to get a great machine on a budget today. There are plenty of benefits to having an at-home espresso machine. From being a good source of a caffeine jolt to a great way to make new drinks, you should consider adding these machines to your barista’s arsenal. The Delonghi EC155 tops our list for its versatility, but each of these machines are a great choice. 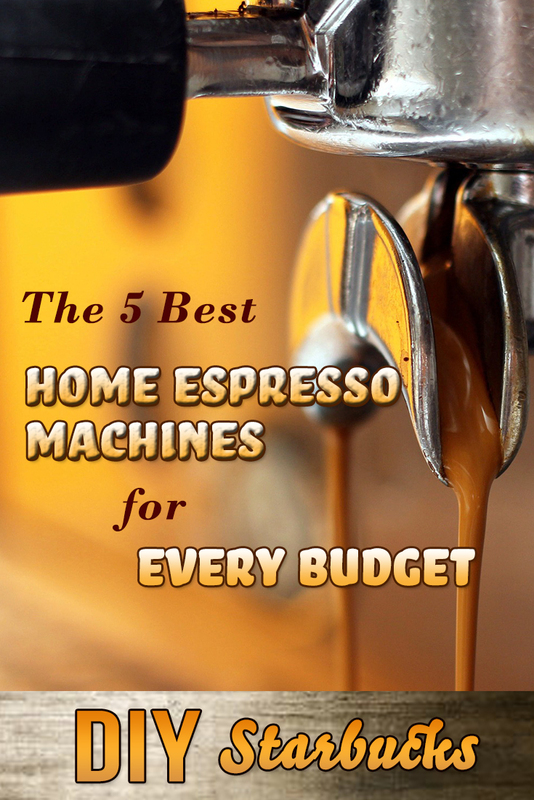 Before buying an espresso machine on a budget, there are a lot of features you should look into. The first is differentiating between espressos and strong coffee. Because while machines like the moka pot can be referred to as “stovetop espresso makers,” they’re much closer to traditional coffee makers. A moka pot works by placing water on the bottom of the pot, and coffee grounds on the top. Heat forces water up in the form of bubbles, extracting flavor and pushing the solid grounds to the top of the pot. The result is delicious, but it isn’t espresso. Using this method leaves you without a way to create crema or control heat the same way. That being said, it is an amazing traditional coffee-making method, and usually far more affordable than an espresso machine. If you’re interested in a moka pot, you can read our full buying guide. Espresso makers are far more complicated than moka pots. They come in a variety of forms and with many features, but on a basic level, they pressurize your brew’s water and force it through coffee grounds. These grounds are packed incredibly tightly, resulting in a thick and complex brew with a slightly frothy head known as a crema. With that in mind, here are some of the features to look for when buying an espresso maker. Some espresso machines, most notably the Nespresso line, use pods similar to a Keurig. Other machines can use both pods and ground coffee. While it can be convenient to have this option, it’s more worthwhile to use ground coffee most of the time. There are a few reasons for that. Without even considering the quality of their cup of coffee, the cost and environmental impact of these machines can be difficult to stomach. A pound of Nespresso coffee costs $51 per pound . A pound of coffee from the grocery store can cost under $10, and even specialty roasters sell it for under $20. A lot of people still gravitate towards pods for the convenience. But the truth is, grinding your own coffee isn’t difficult. It also takes almost no extra time to use pre-ground coffee. So the time saved by using pods simply isn’t worth the money. Of course, throwing out pods has a severe environmental impact. While Nespresso makes its pods recyclable, the majority still get thrown in the trash. Beyond the utilitarian or idealistic, buying your own grounds will give you a lot more room to experiment with what you like in an espresso. Big brands that make pods tend to play it safe, so going with grounds is a great way to enjoy the adventure of expanding your palate. Espresso machines come in the automatic or manual variety. While experienced home baristas will enjoy the control and power that comes with a manual machine, automatics are much better for people who are inexperienced or want something convenient. Most automatic machines will control everything from the grind of the beans to the temperature of the water. All you need to do is get your beans and put them inside. This is an easy way to make a high-quality espresso that’s leagues above anything you’ll get out of a drip-coffee maker or keurig. Recognizing the joy of espresso, Nestle has released a line of Keurig-style espresso machines called the “Nespresso.” While these machines certainly stand head-and-shoulders above the Keurig, they still result in the extra financial burden of using pods without being able to compete with the quality of fresh-ground espresso. A manual machine is a lot more complicated. You’ll need to buy more peripheral machines, such as a coffee grinder. You’ll also need to get used to a multi-step process of pulling levers and adjusting temperatures. Usually the manufacturer will provide instructions specific to your espresso maker. This method makes great coffee. But it’s also a lot more complicated. If you don’t have a lot of brewing experience, you should go with the automatic machine instead. Between the two, you can get a semi automatic machine. This is a good choice for intermediates: it gives you control over features such as your grind, without forcing you into a position of needless complexity. With a semi-Automatic machine, you are still responsible for grinding your beans and tamping your espresso. Many of the boiling and heating functions are handled automatically, though you may still be in charge of frothing or steaming your milk. The best Semi-Automatic machines for serious baristas offer manual control. By controlling the amount of time spent making your espresso shot, you can vary your brews every time. That being said, a number offer programmable drinks, making it far easier for beginners to brew. Espresso machines have a variety of boiler types. The two most important are single-boiler machines and dual-boiler machines. A single-boiler machine will use the same water for espresso and the frothing of milk. 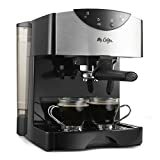 This is sufficient for somebody making primarily regular espresso, but it has a major disadvantage in that you can’t make espresso and steam milk with it at the same time. If you’re buying a machine to make lattes every morning, this means you may want to steer-clear of single-boiler machines. Dual-boiler machines tend to be a lot more expensive than single-boiler. They offer separate boilers for making espresso and steaming milk. They offer more consistency than heat-exchange setups, but for a price. Heat exchange boilers are a synthesis between single and dual-boiler machines. They can steam milk and make espresso at the same time, but do it using a single boiler. While they are more affordable than single-boiler machines, they also don’t offer the same level of consistency. This makes them a good choice for people who either have more brewing experience, or are willing to learn more about their specific set-up. A lot of espresso machines have the word “pump” in their names. It can seem meaningless or overly complicated, but it’s worth explaining what makes pump espresso machines so great. Pumps provide the machine (or user in a manual set-up,) with more control over the water temperature and pressure within the machine. The pressure used in a pump is known as a “bar,” and most machines will tell you how much bar pressure they offer, usually somewhere in the range of 15 bars. There are a few reasons why this provides a great benefit for serious espresso fans. The first is crema. We mentioned that a moka pot is not an espresso machine because it does not provide crema. While non-pump setups can provide crema for your espresso, the pressure control of a pump provides a thicker and richer crema. The second is heat control. Pump machines provide better flavor extraction than non-pump setups because the water temperature is more controlled. This will make it easy for your coffee and steamed milk to be rich and flavorful without tasting burnt. High-end espresso machines will use metal or stainless steel parts while avoiding plastic. While you should certainly expect this out of a high-end espresso maker, you don’t have to fear plastic in your machine. The plastic used in espresso makers is designed to withstand heat and will not cause harm. When you get an espresso machine, you’ll need a few other accessories. 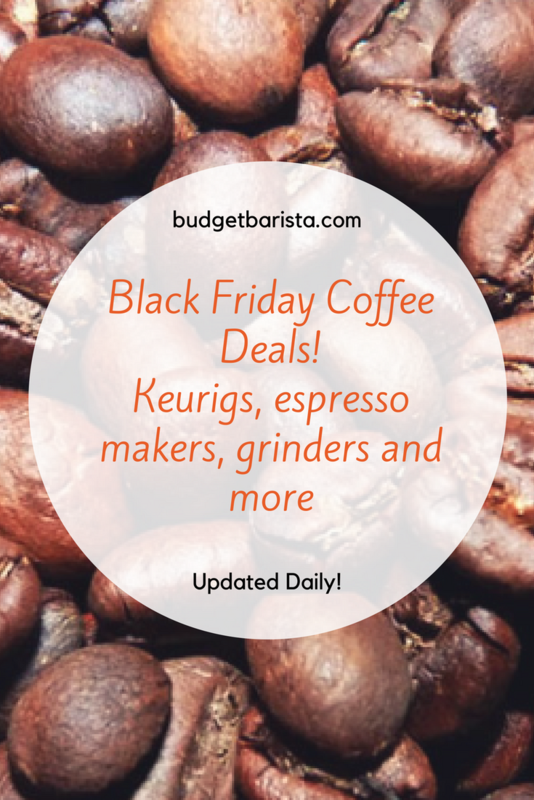 Most are relatively inexpensive, but offer huge improvements to your coffee-making setup. The two biggest are coffee grinders and espresso cups. A good coffee grinder will have an adjustable grind. You’ll want to be able to grind fine beans that fit the specifications of your setup: usually, that will be the finest grind available. However, some espresso machines, particularly budget models, have trouble working with finely ground beans and will require something slightly more coarse. We also recommend an espresso cup. These come either in their traditional ceramic design, or in newer and more sleek glass models similar to shot glasses. Putting your espresso in either cup will make it easier to experience the full flavor and aromatics of your brew, which can be lost in a larger coffee mug. It also makes it easier to measure your shots. Finally, a tamper and pitcher combo is perfect for people looking to make latte art. If you’re interested in a cup on the go, this won’t be necessary. That being said, my friends are always impressed when I give them a beautiful and delicious drink at our brunch potluck. This machine is great for beginners and experts alike. If you’re nervous about grinding your own beans or selecting a blend for your espresso maker, the machine is compatible with pods along with ground coffee. On top of that, it comes with a lot of features to give you absolute freedom while making a cup of coffee. For instance, it comes with separate metal filters for single and double shots. This makes it a lot easier to make a double espresso or strong latte. It also features a compact design and removable water tank for easy storage. Pile a milk frother on top of that, and you can see how this is a budget coffee-making powerhouse. You won’t get pro-quality drinks out of a budget espresso maker. But if you’re looking for something that will be easy to use while getting you close, this is a good start. This has a lot of the same great features as the DeLonghi EC155. It takes both pods and grounds, and comes with a quality milk frother. 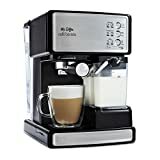 While this is also a great set-up for somebody who wants to make espressos and lattes, it has some qualities that place it below the DeLonghi. Costing close to $300, the price increase on the SAECO is not heavily matched by improvements in quality. Mid-range machines like this are a tough sell because they offer marginal improvements over cheaper models with relatively large price increases. On top of that, the coffee quality isn’t a wide enough improvement over the DeLonghi to justify these price increases. This makes it hard to accept a three-digit price increase. It certainly does offer a better taste. The improvements are marginal, and the price increase is not. Ultimately, while this is still a good coffee maker, that’s why the DeLonghi is a better pick. The Mr. Coffee Cafe Barista is easy to use and affordable. It delivers high-quality lattes and cappuccinos through an intuitive system of electronic controls. While it’s particularly surprising to see this coming from a company like Mr. Coffee, it’s also incredibly exciting. One of the best features of the Cafe Barista is its automatic milk frother. Whereas other milk frothing set-ups require quite a bit of skill and the use of the wand, this one delivers good foam for both lattes and cappuccinos pretty much instantly. You won’t be able to make beautiful latte art with it, but it’s great if you’re just using it for flavor reasons. With an easy to use one-touch control panel, it’s easy to measure the amount of espresso and milk that you need for your drink. The Cafe Barista is highly automated, so you won’t have a lot of control over the specifics of your coffee. In addition, fine grinds can easily clog the machine. All of this is to be expected of a budget espresso machine, and the features and ease you get with the Cafe Barista make it worth it. The modular design of this espresso maker is truly unique. Combining angular art-deco qualities with European simplicity, this is a beautiful design. It has the look of something you would use while looking out on your Italian villa. But does its function follow its form? The answer is complicated. The Gaggia delivers some really amazing coffee. It provides possibly the best crema on the list, and is better than most budget espresso makers with light roasts. That being said, when you use the Gaggia, you compromise ease-of-use and speed. More experienced brewers can probably get a lot more out of the Gaggia than out of some of the easier coffee makers on the list. But if you’re just looking to move past your Keurig, you’ll have a lot of trouble with it. This is also slightly more expensive than some other models on the list. But if you’re willing to make a big investment and learn a lot from it, you’ll love the Gaggia Semi-Automatic. It should be surprising to see two picks from Mr. Coffee on this list. 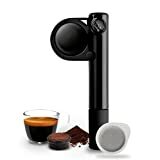 While the company is mostly known for their mediocre drip coffee makers, they actually produce some amazing budget espresso makers that aspiring home java artists will love. This is an extremely affordable espresso machine, coming in at under $80. For the price, it offers some amazing features including a milk frother and a 15 bar pressure pump. That being said, it isn’t perfect. You need to keep the price of the automatic dual shot system in mind. Users report that the machine leaks frequently, and it doesn’t do well with tightly packed and fine grounds. It also takes a long time to heat up milk for frothing and steaming. That being said, for the price, you won’t find anything better. If you go camping or just want an affordable espresso maker, a portable system can be the way to go. Of course you won’t get the same quality espresso from a portable machine that you will from a home system. But for something portable, the Handpresso is great. For a portable system, this is extremely high quality. It is usable with both E.S.E. pods and grounds, and allows you to pump the machine to receive the right level of bar pressure. Keep in mind that you aren’t going to get a great crema on this, and the need for espresso as opposed to regular coffee on the go can be questionable. For that reason, somebody looking for a good and simple coffee maker may be better off with an Aeropress. Espresso machines are a big investment. If you’re not serious about experimenting with new brews, it may even be a good idea to skip them. However, for those willing to invest, they’re absolutely worth it. If you want a high-quality and versatile choice, the DeLonghi EC155 is the pick for you. While the SAECO HD 8327 makes slightly better coffee, you can’t beat the bang for your buck that you get out of this system. If price is your only factor, either of Mr. Coffee’s machines offer value. The Cafe Barista is filled with features, while the Automatic Dual Shot costs less than your Keurig while making far better coffee. That being said, the best choice for serious home baristas is likely the Gaggia Classic Semi-Automatic. It may be hard to use, but it offers the best coffee on the list in an incredibly beautiful package.